We also have an exciting new, unique product: Rent On Time – guaranteeing Your Rent – On Time, every time. This product gives 100% guaranteed rent, even if the tenant doesn’t pay, with no claims, excess or waiting! See our Rent on Time page for details and see charges below. Our tenancy agreement is comprehensive and legally compliant and should cover all your requirements – click here to view a copy. for 10 years and cost £90 inc VAT (£75+VAT) per property. 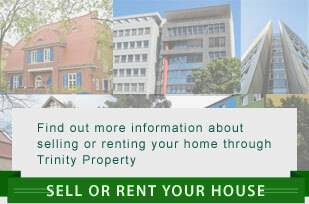 Volume discounts are available for multiple properties, please call or email us to discuss this. Floorplans (stand-alone) from £24 inc VAT (£20+VAT). EPC & Floorplan combined from £96 inc VAT (£80+VAT). Reference Number 308751 (IAR No. 486190). Coversure Ltd is authorised and regulated by the Financial Conduct Authority. Ref: 432944. The fees under the above services are payable when any individual or organisation enters into an agreement to rent a Property as a result of our promotion, introduction, or viewing by the Agent. Inventory Service (unfurnished properties) £54 inc VAT (£45+VAT) Please ask for a quote for furnished properties. Trinity Property Sales Ltd is an Introducer Appointed Representative of Advent Solutions Management Limited who are authorised and regulated by the Financial Conduct Authority: Firm Reference Number 308751 (IAR No. 486190). Trinity Property Sales Ltd, Trading as Trinity Property are licenced members of the Association of Residential Letting Agents (ARLA) and The National Association of Estate Agents (NAEA), have Professional Indemnity Insurance, Client Money Protection through ARLA (see this link for their Conduct and Membership Rules) and belong to the Independent Redress Scheme administered by the Property Redress Scheme (PRS).